"Cervical Cancer Prevention & Screening Information"
There is another application I stumbled upon on my own "Cervical Cancer Prevention & Screening Information". 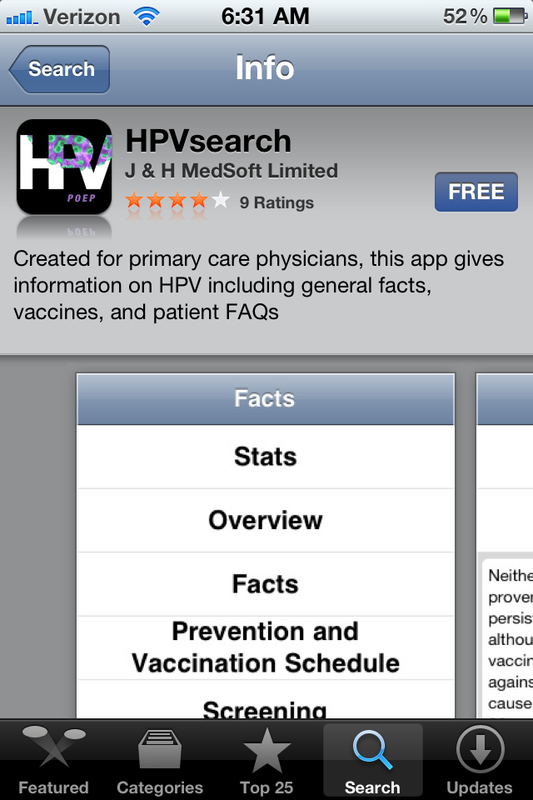 This application was developed by the Nurse Practitioners in Women's Health (NPWH). 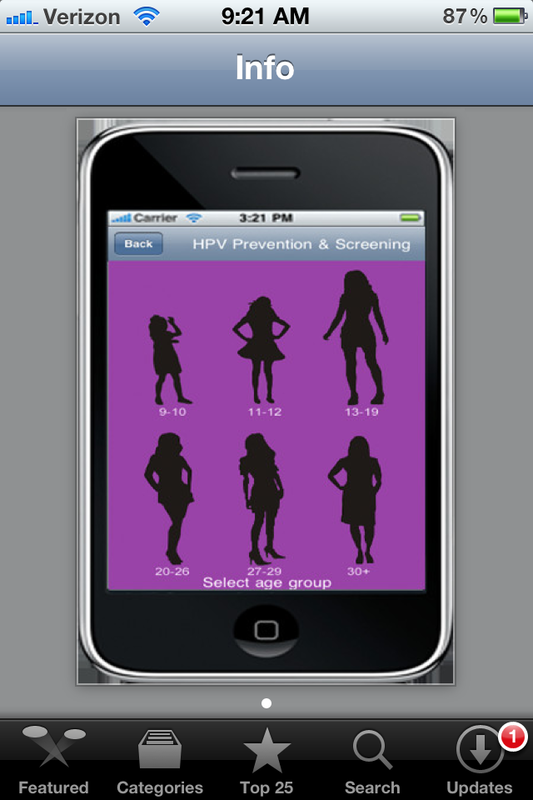 It reviews strategies for cervical cancer protection for girls and women. There are thousands of applications out there, some in my opinion, useless, so why not have applications for HPV and Cervical Cancer Prevention? Giving you information at the tip of your fingers and attach to them is the magic word "FREE." Both of these applications are available in iTunes. Get some FREE knowledge!! Disclosure: This blog is a personal blog written and edited by me. No compensation was received for this particular post I always give my honest opinions, findings, beliefs or experiences.